On Saturday the 23th of November Guruprasad Shenoy (@gpshenoy) has explained JRebirth features during Java Summit at Chennai (www.jugchennai.in/chennaijavasummit). On Friday the 15th of June I have demonstrated JavaFX capabilities at Breizhcamp 2012 (Rennes, ISTIC). I ship all my little family with me to go in Bretagne !! We visit some interesting museum between different sessions. On thursday 24h of May I have demonstrated JavaFX capabilities at EclipseDay conference. The talk lasted 30 minutes, 20min of slides presentation followed by 10 minutes of Live coding (An JavaFX hello World! using Tom Schindl eclipse plugin then a EclipseRCP application). An Hellow world JavaFX application has been written in Live, and a Eclipse RCP application that embed several JavaFX components has been shown too. 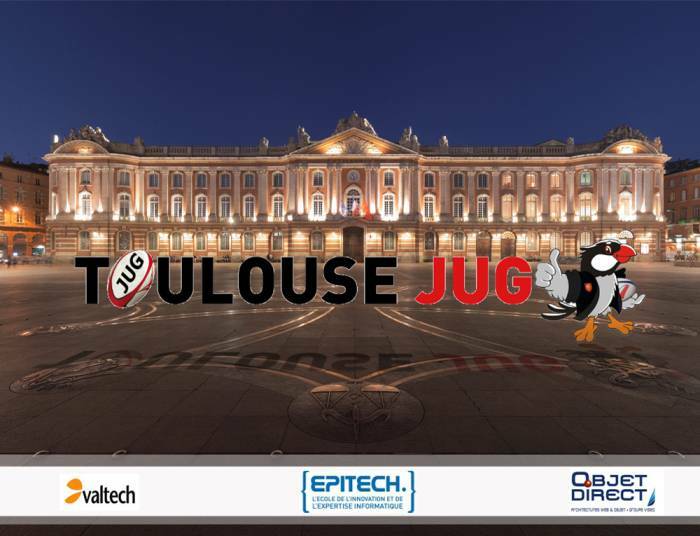 I will demonstrate JavaFX 2 capabilities at ToulouseJUG on February 16th. Registration to this free event is not yet opened, please check www.toulousejug.org website to be informed.